Considering that more than half of all households in the U.S. have pets, including pet care in early childhood education is a relevant and important way to help young children learn both empathy and responsibility. With two dogs and a cat in our family, we talk about animal care on a daily basis. 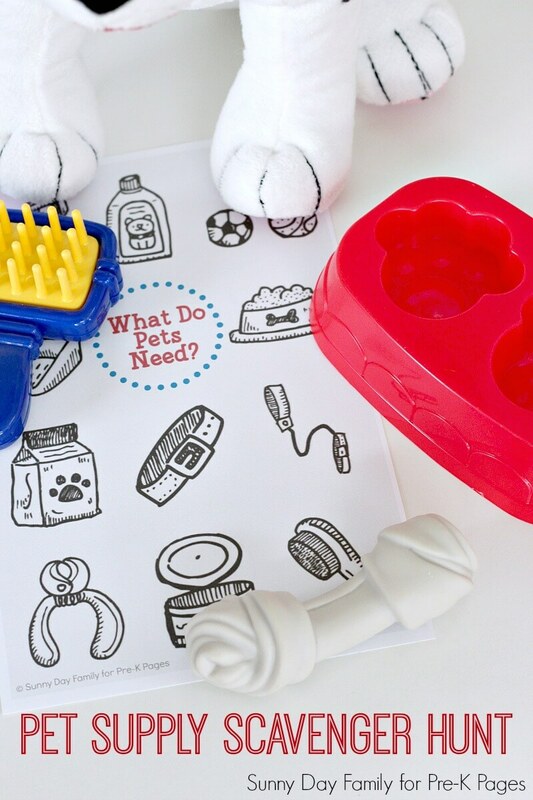 To help my own kids understand what pets need and how to properly care for them, I put together a really fun scavenger hunt activity that can be used at home or in the preschool classroom. 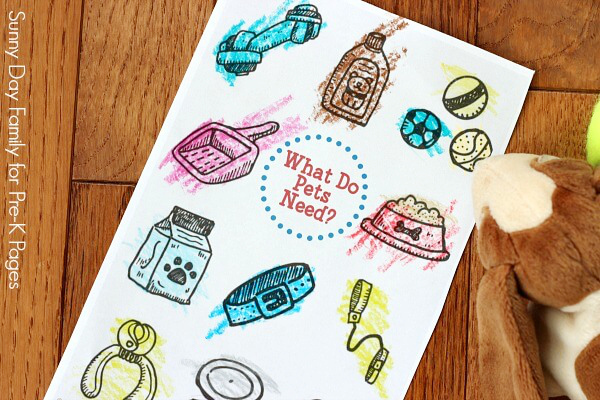 This pet supply scavenger hunt includes a free printable pet supply list that you can use in other ways later. It’s a flexible activity that can be adapted to your setting and needs and can incorporate a number of learning opportunities too! 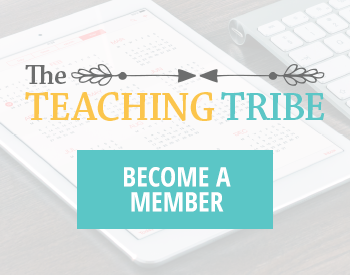 Begin with the free printable supply list. Print out a copy for each child (it is formatted to print two to a sheet, simply cut in half down the center). Next, gather the corresponding supplies. You can use toy pet supplies that you have in your dramatic play center or real products from home. You can even coordinate this with a donation drive for your local animal shelter and donate the items after the unit is complete. 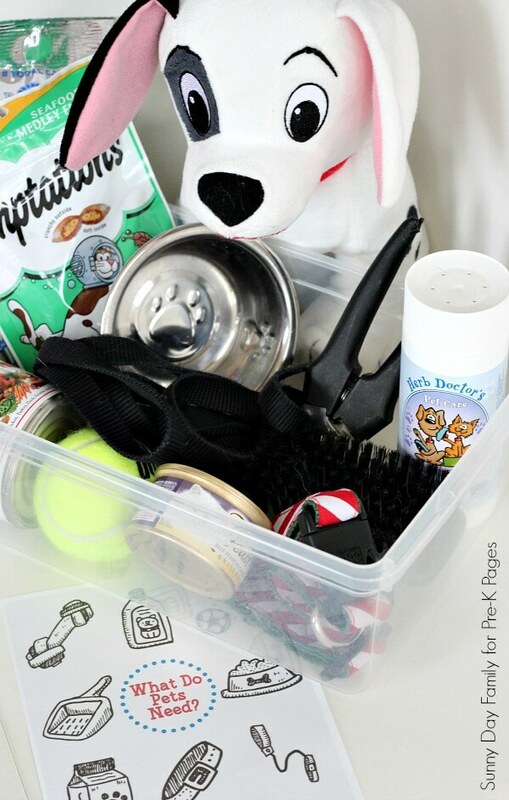 Place your supplies in a bin or box, along with a stuffed dog and/or cat. 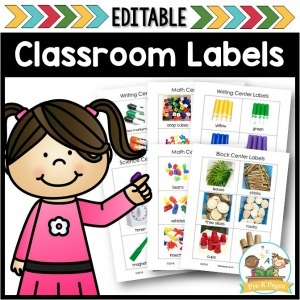 Give each child a copy of the supply list, and let them take turns choosing an item from the box and matching it to the items pictured on their list. 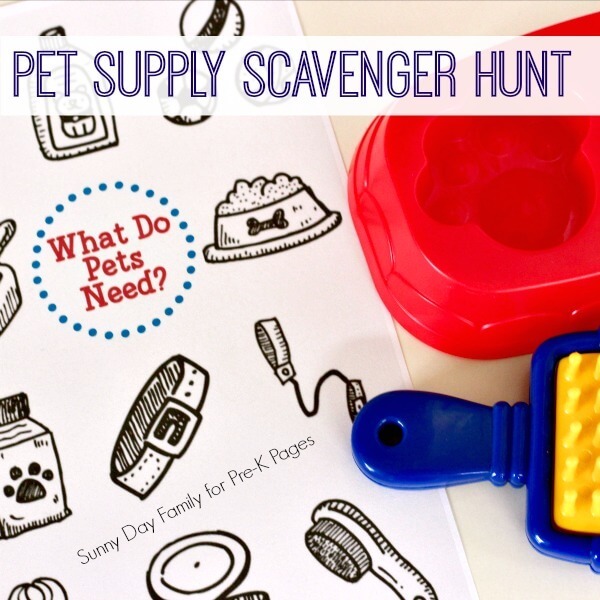 For a more traditional scavenger hunt, you can have the children look for the items around the room, find them at home, or incorporate this activity into a field trip to a pet store. When the children have chosen their items and matched it to their lists, ask them what they think each item is for and why it is something the pet needs. This is a great opportunity to discuss pet care needs such as feeding, grooming, and play. You can encourage them to practice these skills with their stuffed animals, too. 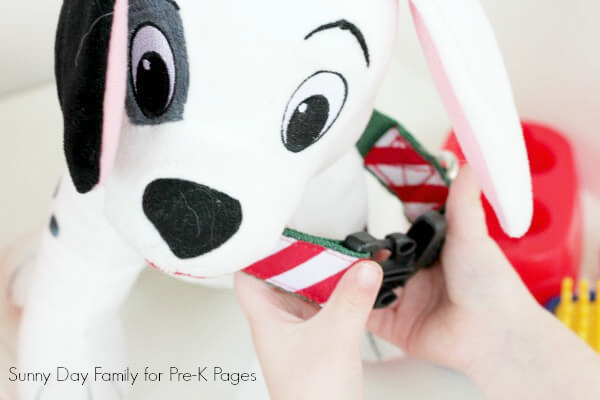 (Buckle collars are wonderful for fine motor practice!). And when they are finished, you can invite them to color the items on their supply lists! 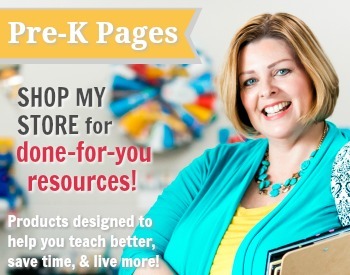 Download your free printable supply list here. This activity is lots of fun, but more importantly it helps to start a discussion about pet care and the needs of animals. As children learn the needs of, and responsibilities associated with pets, we can encourage them to be responsible caregivers now, and in the future. BIO: Laura is a mom to twin boys and the author of Sunny Day Family, where she shares fun activities and easy organizing tips. 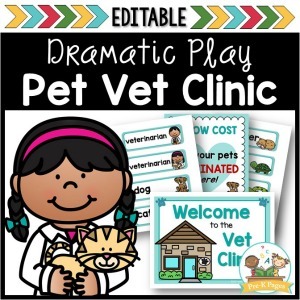 Learn more about her pets and find all her free printables here. 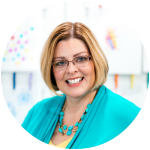 Connect with her on Facebook, Pinterest, Instagram, and Twitter.